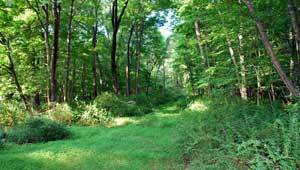 Ellinwood Forrest, an undeveloped 61-acre parcel of land along a scenic Booton Township road, was ripe for development when TPL and partners stepped in to help conserve the property in March, 2011. The acquisition was the 13th project TPL completed in an ongoing partnership with Morris County. The addition expands an existing trail system at Pyramid Mountain and brings total preserved acreage in the park to nearly 1,500 acres. The $1.2 million purchase was made possible through a partnership between several agencies including the Morris County Board of Chosen, the Morris County Park Commission and the Boonton Township, which worked with TPL to secure significant funding from New Jersey’s Green Acres Program its 50th anniversary year.